Two new introductions in the world of motion drives for automation are moving toward use of standard Ethernet communications, eliminating the use of custom hardware. 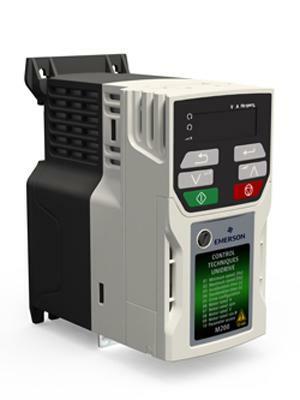 Control Techniques, an Emerson Industrial Automation company, has introduced open Ethernet capabilities with its new Unidrive M family of drives. This new product family is opening up new ground by using standard protocols such as TCP/IP and UDP to implement network synchronization and automation networking. At the recent Hanover Fair, the company showed an open system linked using an IEEE1588 network, for controlling two servomotors monitored by a standard IP network camera. The technology behind the system uses the CODESYS programming platform with standard IEC 61131-3 programming languages, and use of standard Ethernet for communication between drives, I/O, HMIs, PLCs, and other industrial devices. The system also supports connectivity with PROFINET RT, EtherNet/IP, Modbus TCP/IP and EtherCAT devices. What is changing is greater use of standard Ethernet protocols, and elimination of custom hardware solutions. With the growing use of multi-axis coordinated motion in applications, there is more need to depend on synchronized data that is being shared on the motion network. This is causing a trend toward fieldbus convergence and use of industrial standards such as IEEE 1588. Standard Ethernet is now allowing users to deploy multiple protocols that operate simultaneously on a common platform, and use of specialized network protocols to drive the performance required. At the Hanover Fair, KW Software also presented its new solution for isochronous Profinet communication (Isochronous Real-Time, IRT). Profinet communication stacks have been successfully used in demanding automation solutions for years, but this new Profinet stack uses the special features of Intel’s Ethernet Controller I210 for enabling isochronous communication via Profinet. Like the Profinet RT stacks, this solution is available for different CPU architectures and real-time operating systems, including Wind River VxWorks, which allows a step-by-step migration from Profinet RT to IRT communication. KW Software’s PROFINET stacks have been used for years in automation. Because no specific hardware support is required for Profinet real-time communication (conformance classes A and B), the stacks are used on diverse hardware platforms ranging from PCs to complex robotic controls. Use of the Intel I210 enables high-precise synchronization with jitter as low as 40 nanoseconds, from the programmable logic controller to the first device in the control chain and 200 ns to the 32nd device. Versions are available for different Profinet devices classes. Typical application examples include redundant or hierarchically segment automation networks, which are commonly used in large networked production plants.